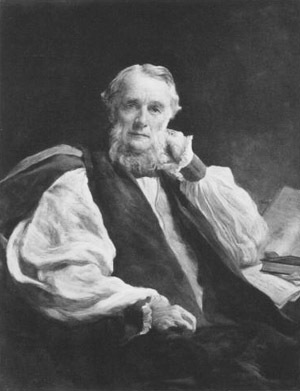 The Life of Edward Henry Bickersteth, D.D., Bishop and Poet. London: Wertheim and Macintosh, 1851. A Farewell Address to the Congregation of Christ Church, Tunbridge Wells, being the Substance of a Sermon, Preached on June 6th, 1852. London: Printed at the Operative Jewish Converts' Institution, 1852. Ezekiel: A Seatonian Prize Poem. National Humiliation and Prayer: A Tract for the Fast-day (Appointed to be Observed on Wednesday April 26, 1854). Water from the Well-spring for the Sabbath Hours of Afflicted Believers: Being a Complete Course of Morning and Evening Meditations for Every Sunday in the Year. The Convictions of Balaam: A Sermon, Preached in the Church of St. Ebbe, Oxford, on Wednesday, March 3, 1858. Oxford: John Henry and James Parker, 1858. The Blessed Dead: What Does the Scripture Reveal of Their State before the Resurrection? London: John F. Shaw, 1863. The Christian's Choice: Being a Sermon Preached in Christ Church, Hampstead, on the Evening of Sunday, Nov. 26, 1865. The Risen Saints: What Does the Scripture Reveal of Their Estate and Employments? Jesus and the Resurrection, or, The Ministry of the Church a Witness for the Resurrection: A Paper Read before the Diocesan Conference of Clergy, in the Convocation House, Oxford, July, 1869. The Second Death, or, The Certainty of Everlasting Punishment: A Paper Read before the London Clerical Conference, in the Vestry Room of St. Giles-in-the-Fields. The Spirit of Life: or Scripture Testimony to the Divine Person and Work of the Holy Ghost. The Hymnal Companion to the Book of Common Prayer. A Charge Prepared for Delivery at His Twelfth Visitation of the Archdeaconry of Buckingham, in June 1871. The Rock of Ages: or Scripture Testimony to the One Eternal Godhead of the Father, and of the Son, and of the Holy Ghost. The Two Brothers and Other Poems. Nunc Dimittis: Being a Sermon Preached in St. John's Chapel, Downshire hill, Hampstead, Sept. 8, 1872. Ode on the National Thanksgiving for the Recovery of His Royal Highness, the Prince of Wales. London: William Hunt and Company 1872. They Watch for Your Souls: An Ordination Sermon Preached in Ripon Cathedral, September 22, 1872. The Master's Home-call; or, Brief Memorials of Alice Frances Bickersteth. The Reef and Other Parables. A Sunday School Liturgy for Use with the Hymnal Companion to the Book of Common Prayer. London: Sampson Low, Marston, Low, and Searle, 1875. Yesterday, To-day and for Ever: A Poem, in Twelve Books. The Clergyman in His Home: An Address to the Candidates for Holy Orders, Delivered in Fulham Palace Chapel, on December 16, 1875. New York: E.P. Dutton, 1876. The Master's Will: A Sermon Preached in the Parish Church of Catton, Norfolk, on Sunday, March 9, 1879, upon the Death of Mrs. S. Gurney Buxton. London: Sampson Low, Marston, Searle, and Rivington, 1879. The Lord's Table; or, Meditations on the Holy Communion Office. Evangelical Churchmanship and Evangelical Eclecticism. London: Sampson, Low, Marston, Searle and Rivington, 1883. From Year to Year: Poems and Hymns for All the Sundays and Holy Days of the Church. The Christian's Walk, or Some Farewell Words to His Flock, Preached on Sunday Morning, March 15th, 1885, in Christ Church, Hampstead. Hampstead: Provost and Co., 1885. The Charge, by Edward Henry Bickersteth, D.D., Sixty-second Bishop of Exeter, Delivered at His Primary Visitation, 1886. The Shadowed Home and the Light Beyond. Some Words of Counsel Addressed to the Clergy and Laity of His Diocese, in the First Three Years of His Episcopate. Exeter: H. Besley and Son, 1888. The Charge by Edward Henry Bickersteth, D.D., Sixty-second Bishop of Exeter Delivered at His Third Visitation of the Diocese, 1895.